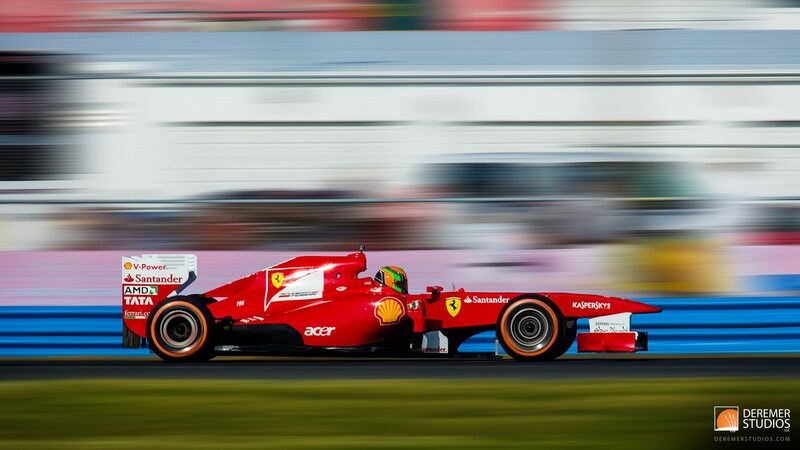 What’s it sound like when a group of modern Ferrari Formula 1 cars go racing around Daytona for the first time? Well, in a word… Amazing! The banshee shriek of the high-revving Ferrari cars echoing through the infield as the cars fly down Daytona’s famous superstretch, was an experience for the senses. Add to that, the historic significance of F1 cars taking to the high banking of Daytona for the first time ever, and you have a glimpse of what a treat this weekend was. But that was just the beginning – with races, parties, an auction, and a Ferrari car show going on throughout the weekend. Up until Friday afternoon, it wasn’t looking like we were going to be able to attend, but with a bit of work productivity, and speedy help from our friends at Top Gear and Ferrari, we headed south to capture the event! We’ve included over 50 images of these great Ferrari cars and all the wonderful festivities that represent Ferrari Mondiali. 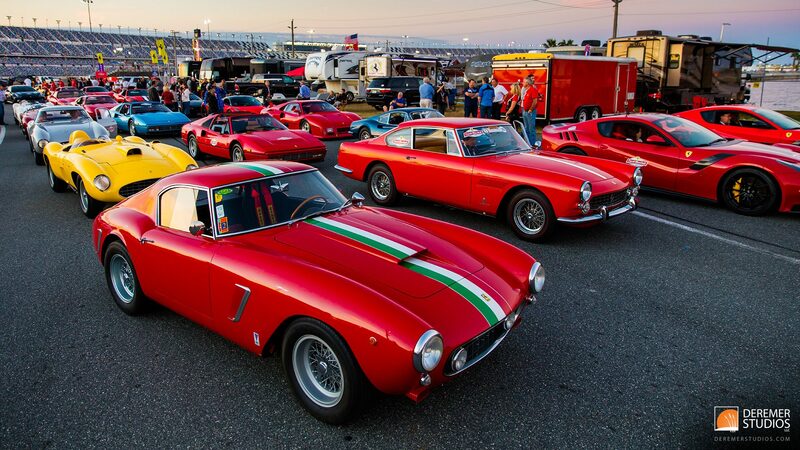 For this enthusiast, my favorite part of the experience – perhaps second only to the F1 performance – was walking around Saturday evening, as everyone was getting ready for the near record-setting Ferrari parade lap around Daytona. With most people occupied with final preparations, I had the classic Ferrari display just about to myself – free to enjoy and photograph these storied cars in the beautiful late evening light. Later, I joined up with the parade group – some 800+ Ferrari strong – and took some time to photograph the cars in the fleeting light. All in all, it was a truly epic day! This entry was posted in Automotive Photography and tagged Antique, automotive, automotive addicts, car show, cars, classic, Deremer Studios, Drive, Enzo, F1, F40, F50, Ferrari, FXX, Jacksonville, La Ferrari, Mondiali, Photography, wallpaper.